I did the blushing bride look over 5 years ago!!! I think I am officially a trendsetter!!!! 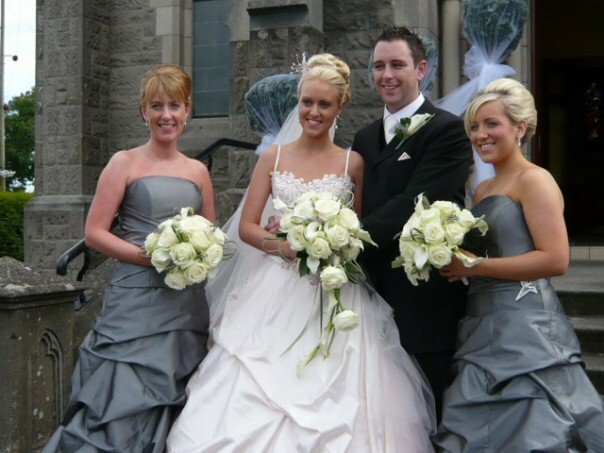 I feel very good about the fact that I wore a blush coloured wedding dress when I got married back in 2007! Now they’re all at it! I was feeling very good about myself being a good few steps ahead of the fashion trends until I realised that …. Gwen Stefani beat me to it!!! In 2002 when she wed Gavin Rossdale, Gwen wore a fabulous dress by John Galliano for Christian Dior with shots of pink running up through the dress. This is now heralded as a top ten iconic celebrity wedding dress. This entry was posted in Dress Hire Belfast and tagged belle dress hire, blush, dress hire Bangor, dress hire Belfast, Dress hire Lisburn, dress hire northern ireland, evening wear bangor, evening wear belfast, evening wear lisburn, formal wear bangor, formal wear belfast, formal wear lisburn, wedding dress by Leeanne. Bookmark the permalink.